Mike Libecki, adventurer and climber extraordinaire, is a one-man torture test for technology. Here’s his list of tech that makes the cut. From standup paddle boarding with polar bears to riding an inflatable pizza slice off a 300-foot iceberg, Mike Libecki has a unique relationship with gear. 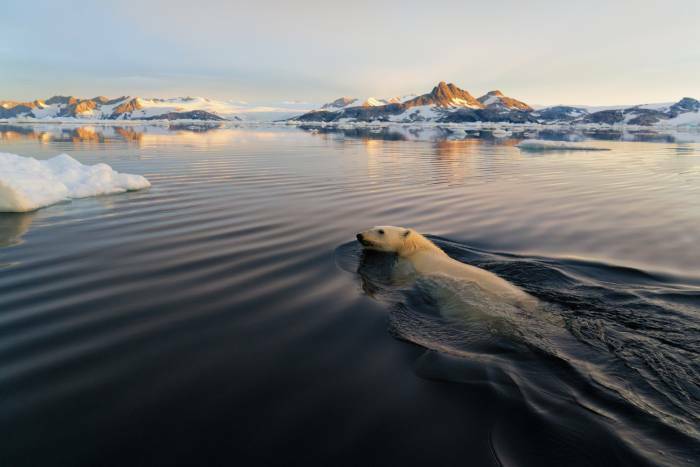 Recently, Libecki returned from a research expedition to Greenland, where he studied climate change and documented his journey with VR (see video below). Following the expedition, Libecki reached out to us asking if he could give us his list of favorite extreme outdoor gear and tech. Naturally, we obliged. 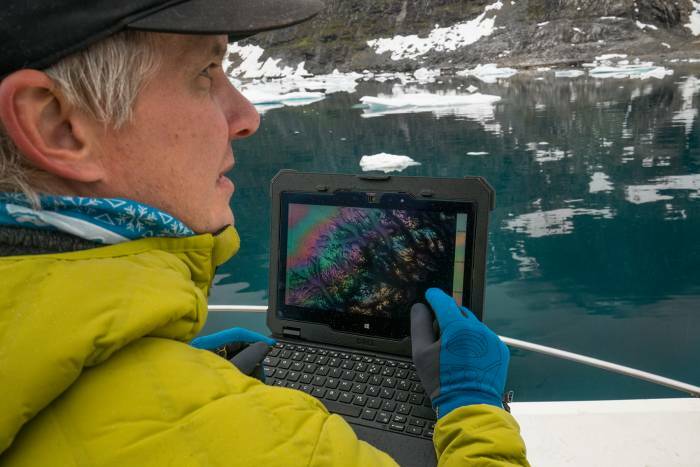 Read on for a peek at the gear this National Geographic explorer trusts on his treks to the farthest reaches of the planet. As a National Geographic explorer and former Adventurer of the Year, I travel to the most isolated places on our planet. 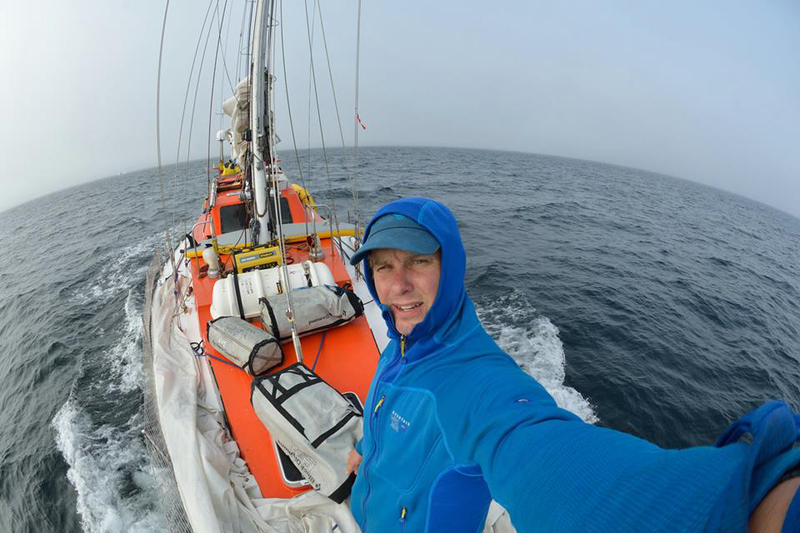 I literally spend my life outdoors and have logged more than 75 expeditions across every continent. Whether alone or leading an expedition, I’m 100 percent self-sufficient for weeks at a time, surviving whatever comes my way. Success hinges on the gear I pack. 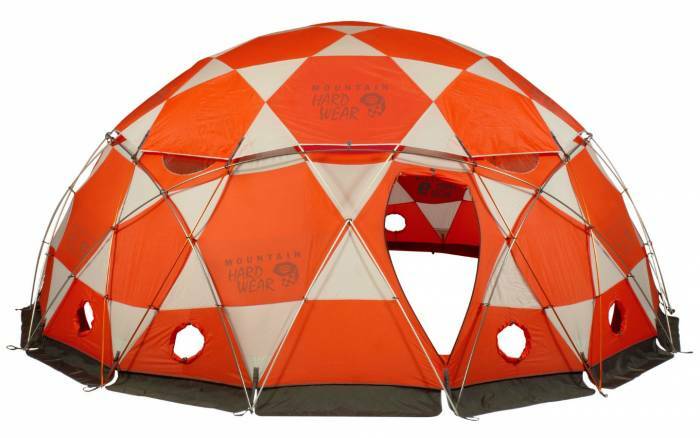 Below, see my picks for the best and most reliable tech for off-grid expeditions. And I’ve tossed in some extreme-condition gear to help you through rigorous adventure. Note: Mike Libecki is a professional explorer and adventurer, and he maintains sponsorships with some of the brands below. Everything listed has been tested and approved by Mike. Each of these products served me well with durability and practicality across many different environments. I can throw any one of these in my bag and know it will see me through to the end regardless of where I’m going. The Latitude is a hardshell tablet designed specifically to operate and survive harsh environments. It’s ground zero for the planning, mapping, communications, and coordinating that go into all my expeditions. It has a large screen and is tough as nails. The tablet is very packable at under 3 pounds and runs about $1,900. This satellite phone provides industrial-grade dependability with a great keyboard for gloved hands. It’s important to be able to stay in touch via voice at any given time on these expeditions. If I need to be rescued, contact local authorities, or just talk to family and friends, the Iridium is the easiest way to do so from any spot on the planet. I can also get instant weather data, which is very important for when I’m deciding on timing and shelter. The phone comes in at around $1,180. Having a reliable solar station in the field is key, and this one offers portable power that’s easily rechargeable. My vast array of solar equipment stays 100 percent charged in the field. All of my video cameras, drone cameras, computers, and satellite devices are directly powered by the incredibly efficient Sherpa 100. The power pack and panels cost around $400. 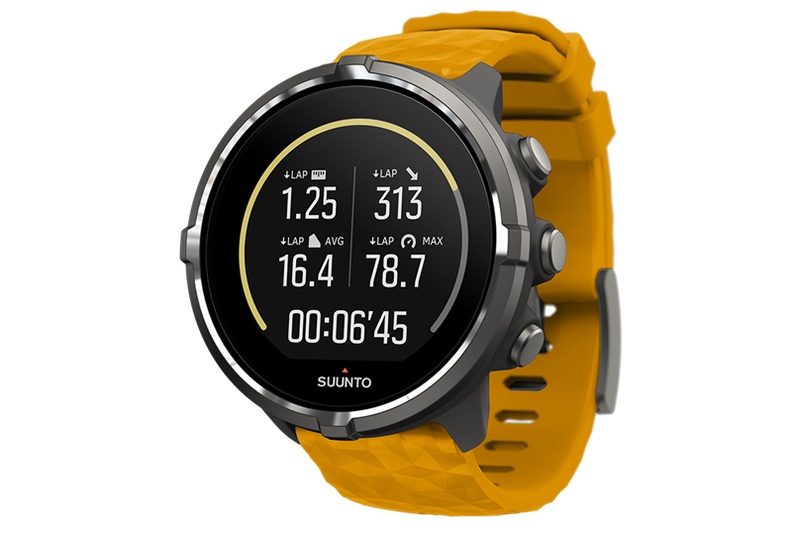 Among other excellent features, this Suunto watch has GPS, built-in messaging capabilities (e.g., texting) and a heart-rate monitor. Scheduling is very important when you’re in the field, and watch tech is getting better at managing more than just time. I use this watch as a backup to my other tech and as a barometer for predicting the weather. That’s one of the most important things to have in the field. The Suunto Spartan Sport watch retails for $599. With the Explorer 710, communication, connectivity, and video streaming are all packed into a single satellite terminal. I love satellite devices, and this is one of the most impressive when in remote, disconnected places. Not only can I video chat live from anywhere, but I can also go live to classrooms, family, etc. Imagine video chatting from Antarctica or Greenland – it’s fantastic. And staying connected with family is crucial when you’re spending weeks away from them. The Explorer 710 retails at around $6,000. In addition to tech, there is a range of neat expedition/camping gear that always comes in handy when tackling whatever Mother Nature throws at you. These items get my personal seal of approval. Some keys to survival and efficiency in the field are cooking meals and melting ice – and doing it fast. 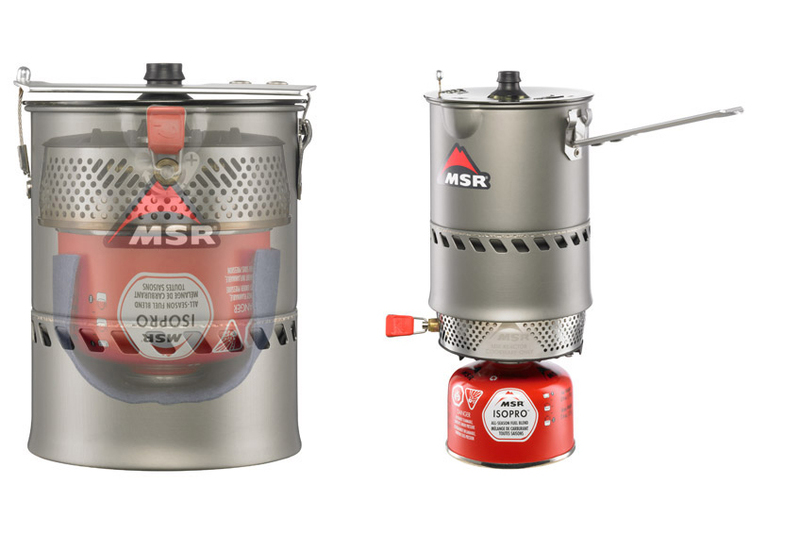 The ability to rely 100 percent on my stoves is the difference between a successful or failed expedition, and even life or death in some situations. The MSR Reactor Stove is a hot item, in terms of both its demand and its ability to boil water in under a minute. It’s definitely worth it at $200. Rope is rope. Until it isn’t – like when you’re dangling from a thread 500 feet above the jungle floor. Thin yet powerful, Sterling Marathon Pro rope is something you can rely on. It costs about $200 for 50 meters. From Greenland to the Himalayas, this tent is my home away from home in the harshest environments in the world. Shelter in the field is one of the most important parts of the expedition equation. And this is the most solid, reliable shelter for my team and our equipment. This is true whether I’m out on assignment for National Geographic, with a documentary crew making a new film, or simply need a tent that can protect me from polar bear attacks. In the field, I’ve spent a couple years of my life in this master shelter. When you’re in the middle of a violent storm, this is where you want to be. It also serves as a studio expedition apartment, and you can sleep next to the cook stove/kitchen for warmth. The tent retails for $5,500. Snug and warm: Just the way I like my down jackets. Having an insulated jacket is key to any cold expedition, and down insulation is the lightest, most efficient, most packable way to go. The beautiful thing about this jacket is that it stretches, making it the first down jacket of its kind. Having a full range of motion while climbing or scrambling in the rocks is important, so stretch down is a game changer. You can buy one for yourself for around $340. Excellent dexterity and insulation are vital in gloves, especially for technical climbing and expeditions. These practically become a part of me. I need to be able to climb and perform technically in the field with the gloves I wear. Not a lot of people know, but gloves needs to be broken in. This pair has a particularly soft leather outer that breaks in perfectly and feels like a second skin. It’s very ergonomic, keeps its shape, and is waterproof and breathable – which is a must. Lastly, the gloves work great with touchscreens, so I never need to take them off to work a piece of tech in the field. A pair of these will cost you about $90.